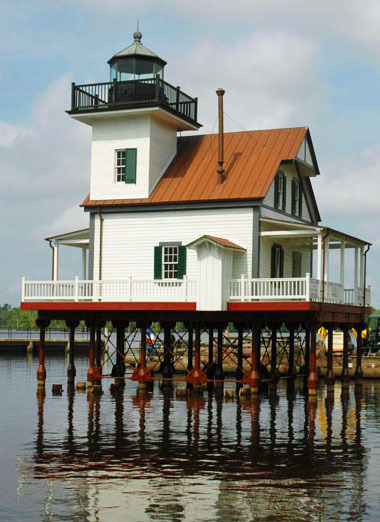 Edenton has no museum, but Edenton is a museum unto itself — making and preserving history for over 300 years. Few places in America can make that statement! Edenton was officially founded in 1712, that same year our first jail was planned, but it took years before that one was built. Once built, it was followed by three more replacement jails: 1741, 1788, and 1809. That fourth jail burned down in 1824, reputedly set ablaze by inmates. 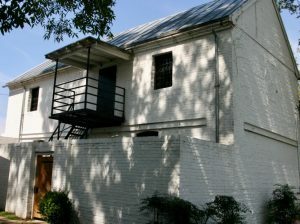 Edenton’s 5th jail, this 1825 jail, was built to replace it. This 1825 jail was built by Ebenezer Paine, a Sea Captain with skills learned from building sailing ships. He used plans drawn by John Hawk, 52 years earlier in 1773. Hawk is the unproven architect of the 1767 Courthouse. Ebenezer built this 36’ X 21’ brick jail in English Bond pattern, later stuccoed. The first-floor walls are 29” thick, second story’s are 24” thick, and the end walls are 18” thick. 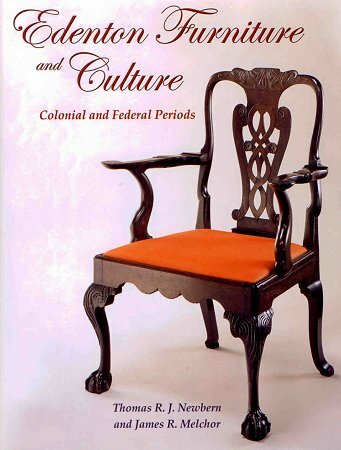 Historically, Edenton’s jails have had many interesting guests, not the least among them, was, Captain Robert Quinn, a British Frigate Captain, not related, but you could imagine I have heard of him often. His ships entered the Albemarle during the revolution in 1781 and played havoc on the Bay, sinking Littlejohn’s boat and capturing or destroying others. Citizens rallied to battle the British ships. Later, a letter from Charles Johnson to James Iredell reported: “The inhabitants turned out unanimously. I never saw, nor could I hope to see, so much public spirit, personal courage and intrepid resolution. Quinn’s schooner was taken, captured boats returned to owners. They captured the Row Galley and the schooner that invaded Edenton, with the commander, Captain Quinn, who was lodged in the Edenton jail, and later transferred to Williamston.” Captain Robert Quinn was mysteriously killed in Williamston’s Jail while awaiting transfer to military prison, which created a lengthy investigation. Probably, the most dramatic historic incident involving this jail stemmed from the August 1831 events in Southampton County, VA. — “Nat Turner Revolt”, in which 55 whites were killed. Terror struck Chowan County. By the end of September 1831, 21 blacks were jailed here on suspicion of “Conspiracy to rebel and make insurrection”. 8 were indicted, one man, Godfrey went to trial in this very 1767 Courthouse on October 12. He was found innocent, in trial by jury. The judge declared, “If he is innocent, all are innocent.” All indictments and arrests were immediately dropped and all inmates released. Some remodeling was being done on the jail. Work could not be done with prisoners inside. Some were farmed out to other jails. Others were given a chance for freedom. 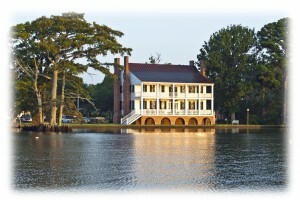 All they had to do to be freed was to promise to leave Edenton and never return. They all said, “I would rather be in jail in Edenton than free anywhere else in the world”. So, each day these men lolled about the Courthouse Green by day and returned to their cells at night. Newspaper interviews with the last Jail Keeper, Glen Perry reported that in 1966, he and another Deputy Sherriff went out searching for a moonshiner in the county and came across a field of very healthy plants, but could not understand why it was in the woods or what it was. They called the SBI (NC State Bureau of Investigations), they saw it and said, “it’s Marijuana”. A late discovery in Edenton, but well known in most places. In the same interview, he stated, nearly every weekend local men who had had too much to drink, came late at night wanting a place to sleep. Sometimes, he said the old jail would accommodate them. Running the jail was a full-time endeavor. The Jail keeper was a designated Deputy Sheriff. “Jail Keepers,” the jailer and his wife, were required to have certificates as qualified and trained Keepers. The Jailer would often be away doing Deputy Sherriff duties and his wife had to step in and become the jailer. Jailer received a “Turn key Fee” of $.30 cents for each inmate locked in and another $.30 when released. The Jailer and his wife provided most food on an allotment of $3.00 per day, per inmate. In 1975 the 1825 Jail was closed after 150 years of service. It stood vacant for over 40 years until the Edenton Historical Commission negotiated responsibility for the jail. 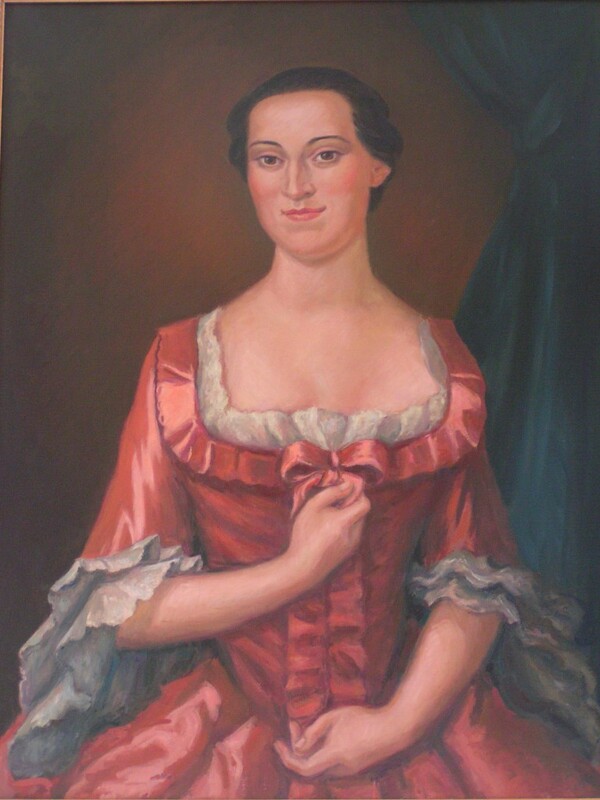 Restoration began with funding from the County Commissioners, Tourism Development Authority, and Edenton Historical Commission donors with a major gift from the Earl and Margaret Chesson Fund, given in memory of Sherriff Earl Goodwin, Grandfather of Earl Chesson. 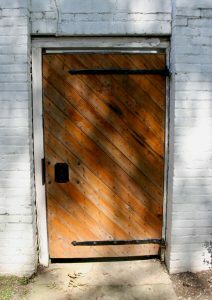 When the jail was closed, it was the oldest jail in North Carolina. 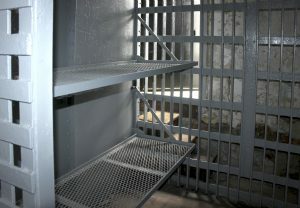 Astoundingly, and totally unknown at the time, it was discovered to be the oldest, in use, jail in the United States. Today we celebrate the 1825 Jail claiming it’s just place in Edenton’s incredible history, next to only one of five Colonial Period Courthouses and the oldest, still in use, Courthouse in the United States. They make a strong statement to the commitment our community, Edenton and Chowan County have made to our nation’s heritage.